Each year, many people unsatisfied with their appearance and discouraged by the rising costs of body contouring surgeries in their native places seek affordable weight loss surgery and cosmetic procedure abroad. Thigh lift in Costa Rica offers an economical solution to individuals who want to get rid of sagging skin and excess cellulite in the thigh area. In spite of the low cost of thigh lift procedure in Costa Rica, one can find the standard of medical care at par with that provided in First World countries, including the USA, the UK and Canada. Medial Thigh Lift: This procedure is used to address the problem of excess fat in or skin on the upper part of the thigh, a concern of many women. In this procedure, an incision is made in the groin region that goes down to the back of the buttock crease. Skin is then lifted, and extra fat and skin are removed to enhance the appearance of the leg. Inner Thigh Lift: This procedure targets the upper portion of the inner thighs. In this procedure, an incision is made at the intersection of the thigh and the pubic area. The extra skin and fat are then removed from the area and the incision is closed. Bilateral Thigh Lift: This procedure is used to remove excess fat and skin from the front and outside areas of the thigh. During a bilateral thigh lift procedure, an incision is made at the top of the thigh close to the hip. The unwanted fat and skin are removed through the incision. The skin is then pulled upward, and sutures are used to attach it in place. Should You Choose Costa Rica for Thigh Lift? As per the statistics released by the Presidency Ministry, the Costa Rican medical tourism sector is expected to draw some 100,000 people in 2014, which could generate revenue of up to $800 million. Thigh lift cost in Costa Rica is lower than the prices charged in the developed countries. Overseas patients can expect to save anywhere from 30% to 50% when they opt for thigh lift cosmetic surgery in Costa Rica. With the money saved on the thigh lift treatment, medical tourists can undergo other low cost procedures such as facelift or liposuction in Costa Rica to improve their overall physical appearance. American and Canadian patients seeking thigh lift in Costa Rica can save a lot on both airfare and travel time because of the county’s geographical proximity to the US and Canada. You can look forward to treatment of quality comparable to that found in the developed countries of the West. The country’s top hospitals are outfitted with the most advanced technology and ultra-modern equipment to perform all kinds of medical procedures. There are several accomplished and qualified plastic surgeons that perform thigh lift in Costa Rica. Many of them have years of experience in performing the medial, inner and bilateral thigh lift in Costa Rica. Compassionate, well-trained and English-speaking medical support staff provides personalized care to international patients undergoing a full blown or mini thigh lift in Costa Rica. 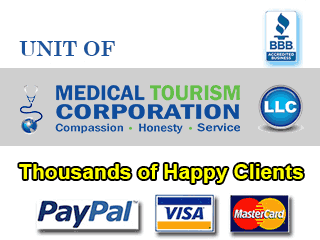 There is nominal waiting time for thighplasty in Costa Rica. Foreigners can plan their bilateral, medial or inner thigh tuck in Costa Rica whenever it suits them. Costa Rica has a temperate climate and moderately warm weather throughout the year. These conditions are good for medical tourists recuperating from their bilateral, inner or medial thigh lift in Costa Rica. When going for thigh tuck procedure in Costa Rica, medical tourists can also explore many beautiful and amazing sites there. Monteverde Cloud Forest Reserve: Blanketed by the clouds, this spectacular mountain rainforest is home to over 3000 species of plants and animals. Arenal Volcano and Hot Springs: Watch Costa Rica’s most active volcano spew fire from La Fortuna – a small town located near the volcano’s base – and enjoy the soothing hot springs. Dark Bay and Corcovado National Park: An ecotourism paradise famous for its biodiversity. If you want to get firmer, toned and shapely legs, then you may like to consider the low-cost yet high-quality thigh lift in Costa Rica. Apart from thigh lift, one can also get plastic surgery after weight loss in Costa Rica, which is often recommended for the removal of superfluous skin left after losing oodles of weight. Submit the free quote request form on the right for more information on Thigh Lift in Costa Rica.